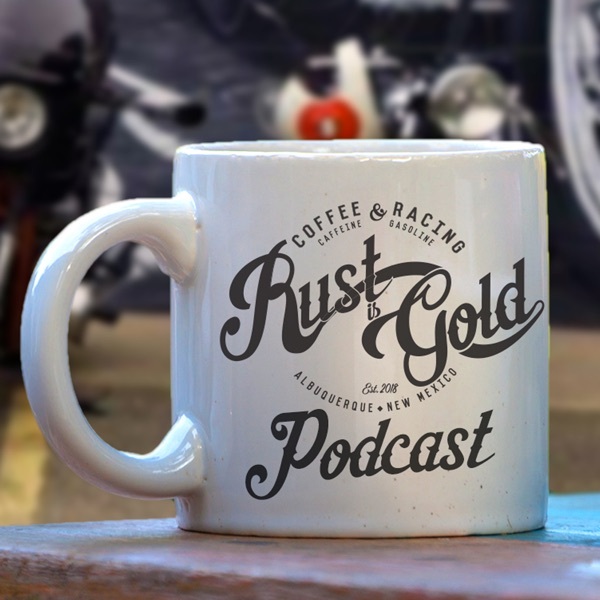 The Rust is Gold Racing Crew wrap up the 2018 Distinguished Gentleman's Ride with reviews of Albuquerque Triumphs Demo bikes. The guys talk Duke City Rocker Rally 2018, racing with Scott Cloninger, Triumph Tiger Troop with Brian Constanzo and the Distinguished Gentleman's Ride. Coffee & IPA's with 'Rocker' Ron Sena - Vintage Cafe Racer, Builder & Enthusiast. Coffee & Music with Jimmy Deveney - Barista, Musician and Vintage Enthusiast.